Active DataComm® has a variety of hosting plans to meet your technical, as well as budgetary requirements. 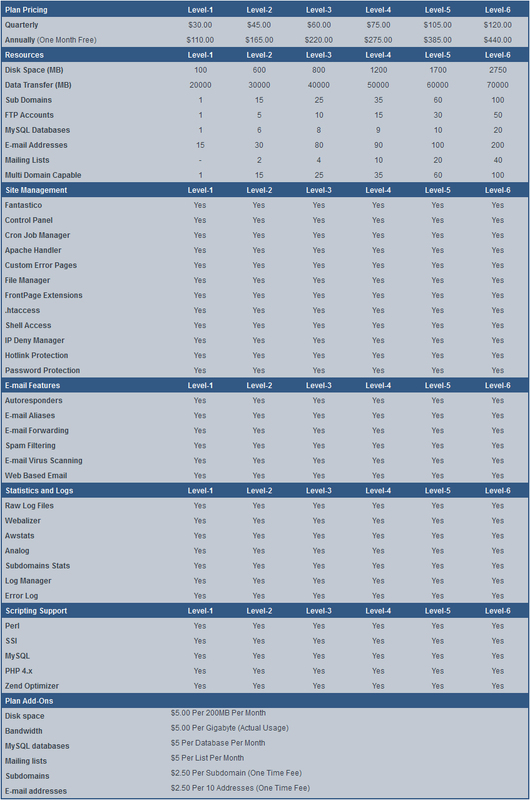 Use the chart below to view the available features and pricing for our hosting plans. Plan specifications subject to change. Please contact us for details.